I couldn't believe it was that quick. I was numb. Michael Pagliaro stood over his oven pouring blueberries into a pan. “I get up every morning and tell myself I have to do something,” Michael said. The kitchen’s screen door was open and an American flag was flapping just outside. The U.S. army veteran turned amateur chef was baking a cobbler for a neighbor. Michael has lived a lifetime of helping others. In 1983, Michael enlisted in the Army. A product of generations of service members, the 17-year-old followed in his father’s footsteps and became a military police officer. He was stationed at West Point Military Academy when he received orders to go to Saudi Arabia as part of Operation Desert Storm. When he returned, his story became similar to that of so many other soldiers. He felt out of place in the civilian world and missed the family he had made in the Middle East. After months of sleepless nights, Michael became restless and needed a way out. Soon, Michael hit the road. He worked odd jobs in Florida and visited his fellow soldiers. He saw his former squadron leader in Georgia. He knew that by talking with them about their service, by rekindling their friendship, he was helping them as much as he was helping himself. 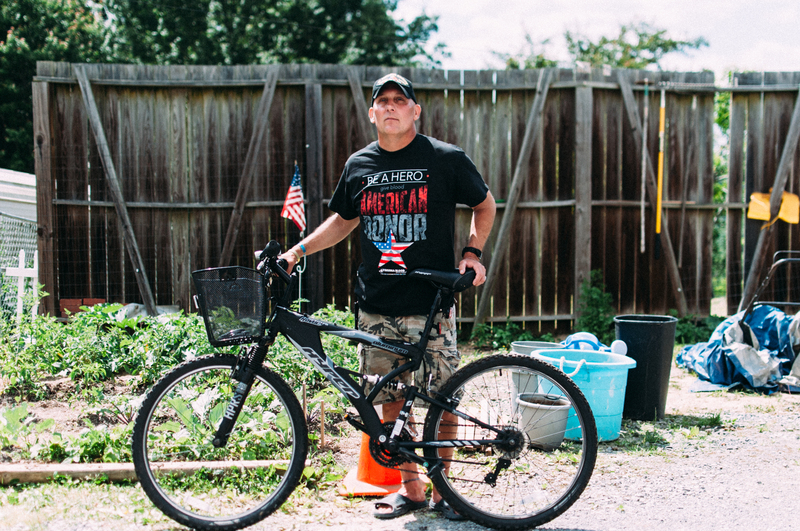 From Georgia, Michael got on a mountain bike and continued his journey, finding and connecting with army buddies wherever he could. By bike, train and hitchhiking, he eventually ended up in Alaska for one last visit. It was January and he was cold and tired. But his post-traumatic stress symptoms were improving and he felt he had helped his friends. He was ready to head home. Michael had an aunt and uncle in West Virginia and after nearly three years of wandering, Michael was ready to give up his tent and settle down. That’s when he was connected with the VA and Jason McVey with Volunteers of America. Our Supported Services for Veterans Families program specializes in helping veterans find stable housing and provides comprehensive case management for veterans in need. Within a week, Jason found a place minutes away from Michael’s family in Athens, West Virginia. And he found Michael something he missed from his time on the road: a bike. Some of the healing process with PTSD and traumatic experiences is talking about it. With the stability of the apartment came something just as important: the opportunity to combat post-traumatic stress by gardening and cooking. Jason McVey stops by regularly. Michael regularly feeds friends with the produce from his garden. One of those friends is a neighboring veteran who was behind on his rent when Michael met him. He put the neighbor in touch with Volunteers of America, who helped the veteran keep his home. He and Michael still communicate. Sometimes non-verbally. Finally, with the help of Volunteers of America, Michael is home. 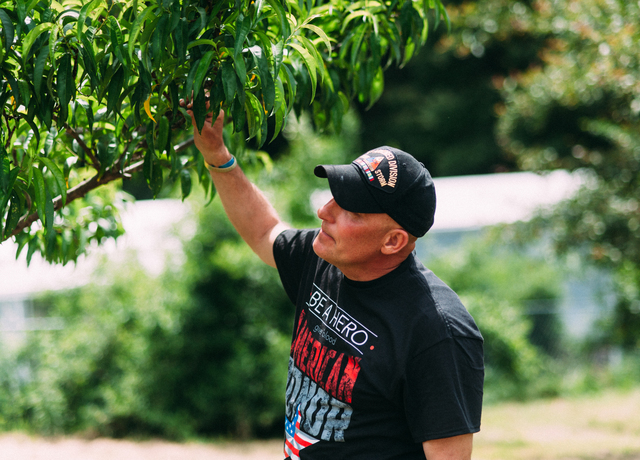 With a blueberry cobbler cooling by the window and herbs drying along the wall, Michael is practicing the values he shared with his U.S. Army brothers he visited from coast to coast – finding a peaceful place, sharing what you have and being hospitable to others. Michael is also thinking about one more form of therapy. Behind the Scenes: Michael talks a letter that impacted his life.